I have been living here in Japan for the past 10 years or so. came across some melee players that wanted japanese gamecube market controllers and stuff. i sent him some emerald green, orange and chamoe Hori controllers and they sold pretty well. 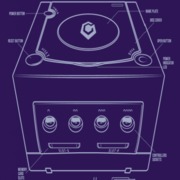 is interested in any japanese gamecube stuff (or any japanese game suff) let me know and i'm sure i can get it. months so let me know if your looking for something. I hope i'm not infringing on any forum rules and if i am please let me know. Welcome! And enjoy your stay. Load of people will be interested in your offers including me I think. i usually ship it all to my brother every so many months. I think now he has an orange gamecube in box with controller and a bunch of games. anyone interested in a chars wavebird? picked up a nice white super smash controller today. I would be interested in a GameCube broadband adapter if you could find me one boxed for a bit cheaper price than those on eBay. Could you ship to Europe? Edit: Also these Hori Mini N64 controllers! Prices they go for on eBay are crazy. CaptainSodaPop wrote: I would be interested in a GameCube broadband adapter if you could find me one boxed for a bit cheaper price than those on eBay. Could you ship to Europe? I'm sure i could find a broadband adapter and i have seen a few Hori Minis for the 64 but i don't remember how much i saw them for. I could ship to Europe but i would need to look into how to get paid.